18th Century, France. Lia de Beaumont, loyal servant of Versailles and its King, Louis XV, is found dead in the river Seine. Floating inside a coffin, on which the word "Psalms" was written, her body had been poisoned by mercury, thus preserving decay. According to the Church, the soul that belonged to a corpse incapable of being consumed by the soil will forever wander in the human realm, unable to go to Heaven. This greatly affects D'Eon de Beaumont, Lia's brother and one of the king's spies. He vows to discover by whom - and why - she was murdered. But he never expected that the one who conducting the revenge would be Lia, now possessing D'Eon's body! And what will the knight do when this quest might risk France itself? History is retold in this supernatural tale of vengeance, loyalty and betrayal. 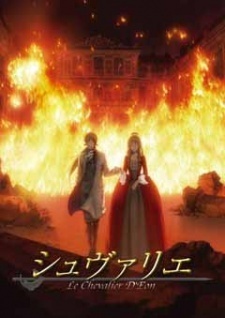 Watch Le Chevalier D'Eon Episodes Online at Animegg.org. Le Chevalier D'Eon is available in High Definition only through Animegg.org. Choose an episode below and start watching Le Chevalier D'Eon in Subbed & Dubbed HD now.